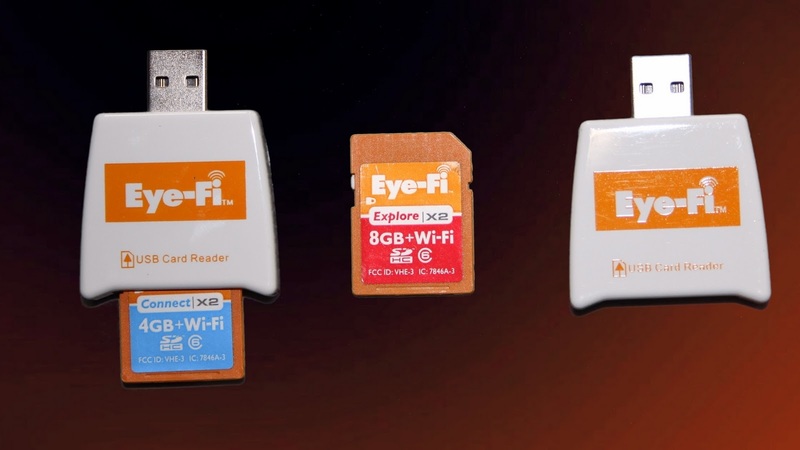 "Eye-Fi" is SDHC memory card that has built-in Wi-Fi. That means that it will transfer wirelessly your pictures to your computer, other devices or your favorite sharing site, using a specified network. No need to take the card out of your camera to transfer your photos or videos. The setup is quick and easy, but you have to know a little about computers and folders. 2. Choose your destination: Choose the folder where you want the photos and videos to load. You choose one folder for your Photos, and one for your videos. 3. Insert the card into the camera and start snapping away. You will see the picture fly into your computer right away.